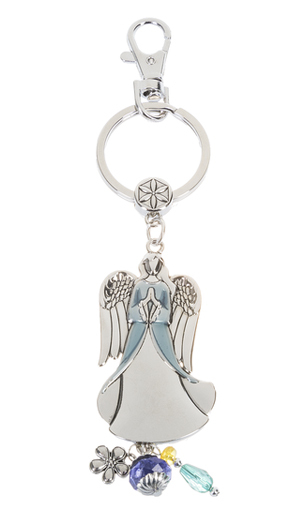 This beautiful inspirational Ganz Angel key ring has great detailing. It is made of sturdy zinc embellished with pale blue colored enamel. It has three small mini dangling charms. Ganz keyrings make wonderful graduation and hostess gifts. 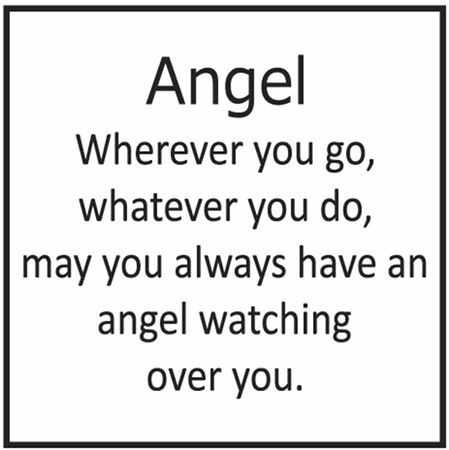 They can be used on diaperbags, backpacks, purses and more.